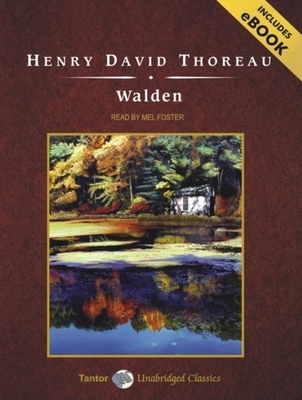 Walden is the classic account of two years spent by Henry David Thoreau living at Walden Pond near Concord, Massachusetts. The story is detailed in its accounts of Thoreau's day-to-day activities, observations, and undertakings to survive out in the wilderness for two years. Thoreau's journal is an exquisite account of a man seeking a more simple life by living in harmony with nature. In today's fast-paced consumer-driven society, the austere lifestyle endorsed by Thoreau is as relevant and refreshing as ever. Henry David Thoreau (1817-1862) is the author of dozens of books and essays, including "On Civil Disobedience" and "The Maine Woods."